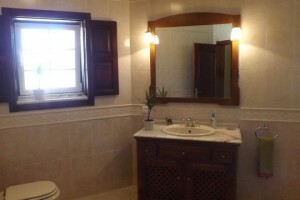 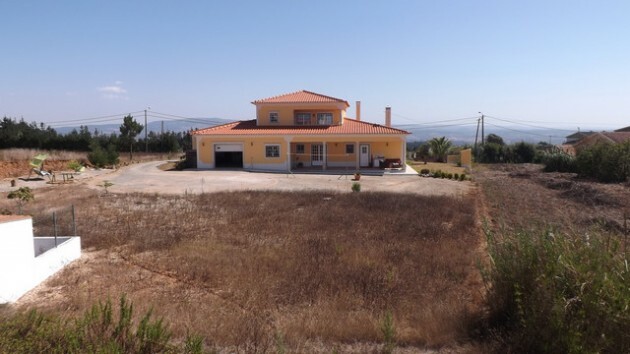 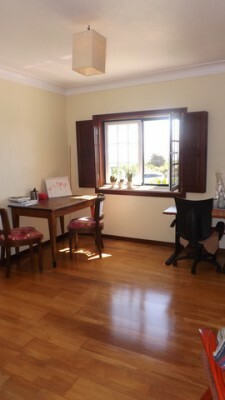 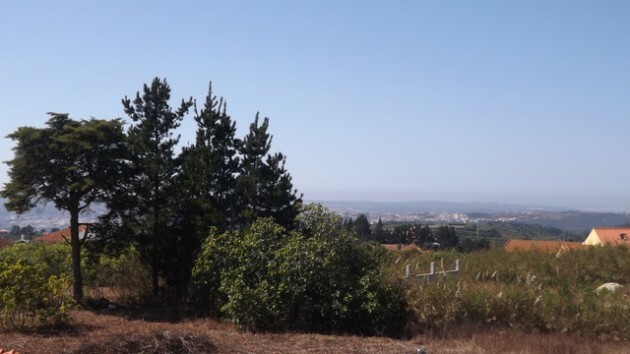 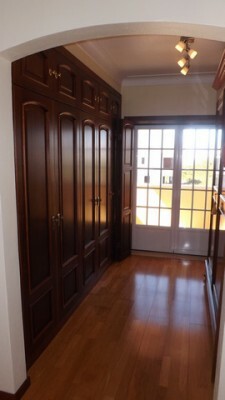 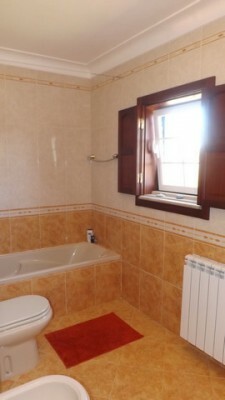 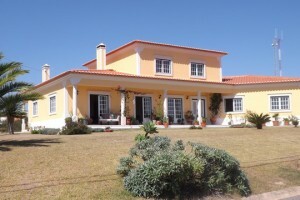 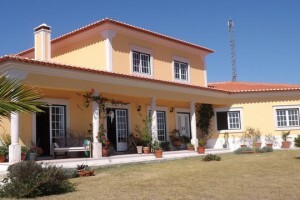 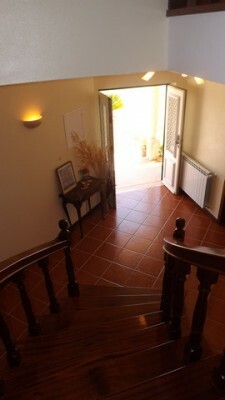 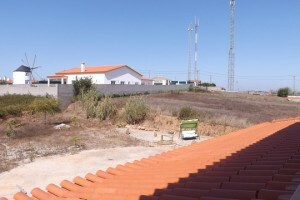 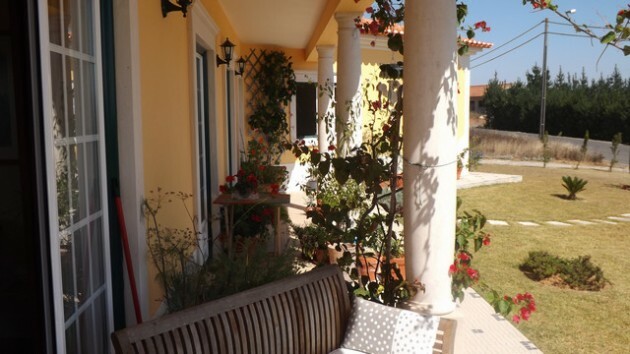 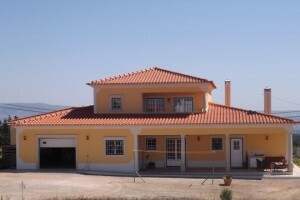 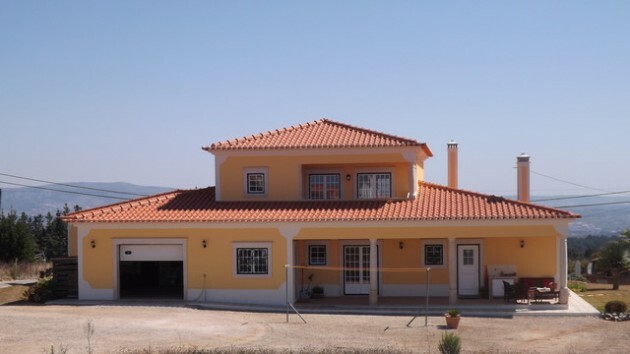 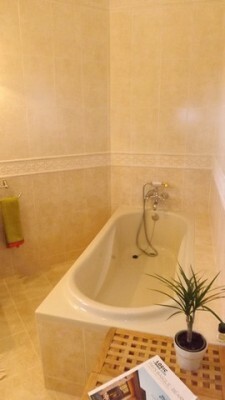 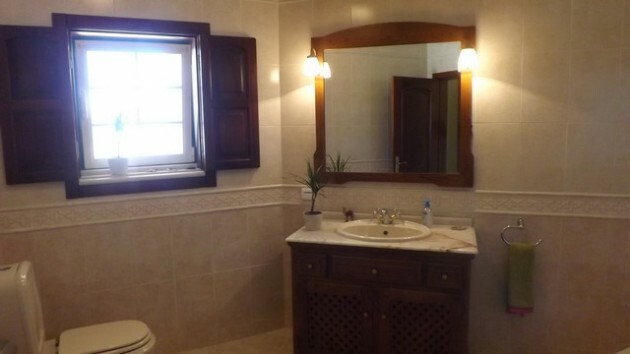 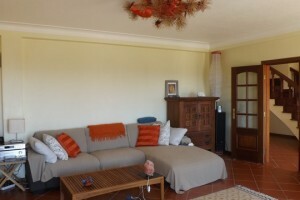 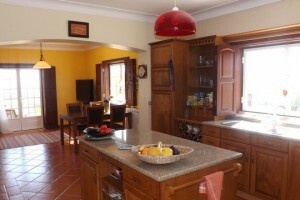 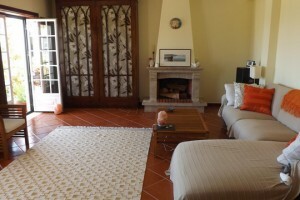 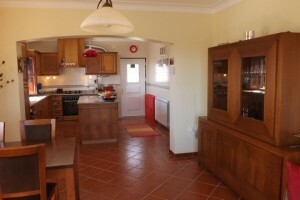 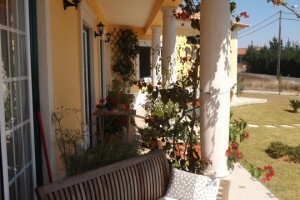 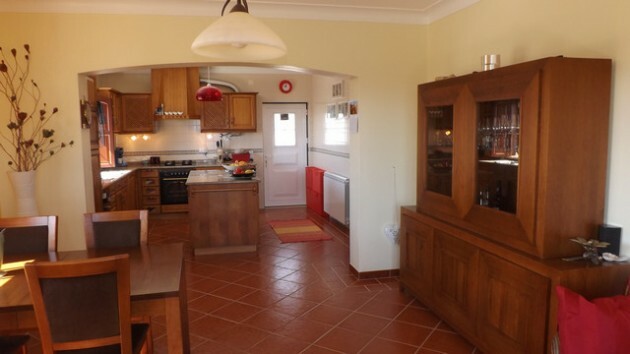 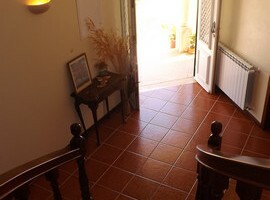 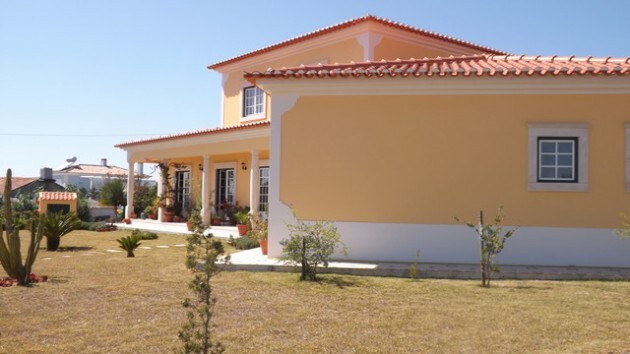 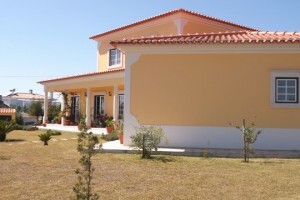 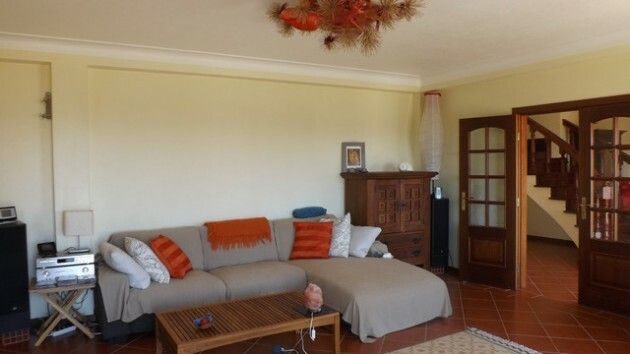 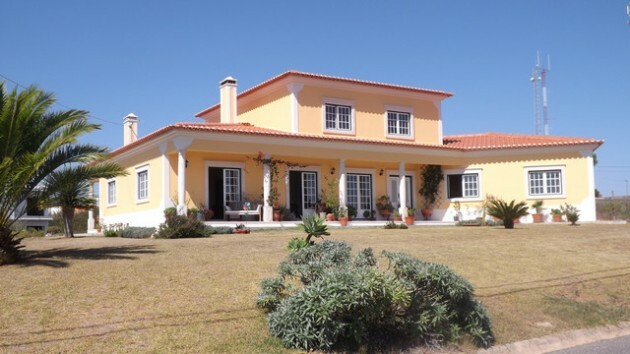 This lovely Portuguese style detached Villa is located in Obidos, Usseira, on a 2.000m² urban plot. 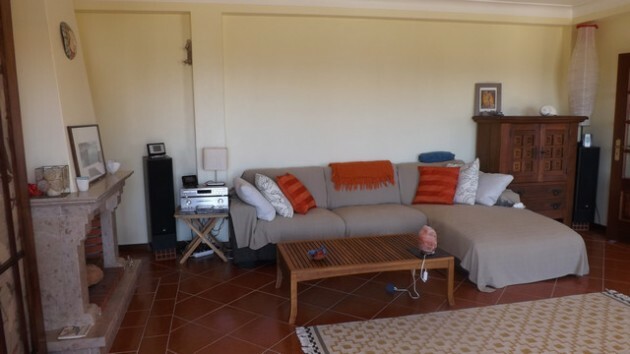 The 300m² Villa offers 4 good sized bedrooms of which 1 is en-suite, 3 bathrooms, pantry, laundry room, equipped kitchen & dining room, living room, office, garage, and a storage room. 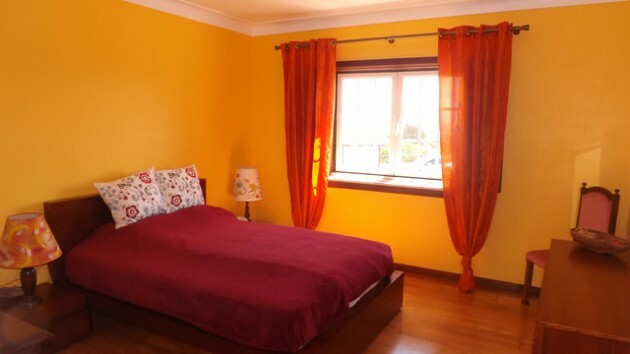 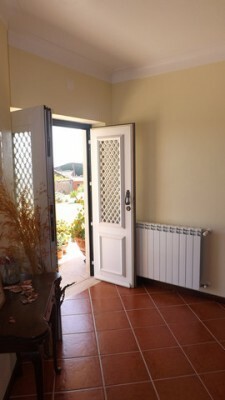 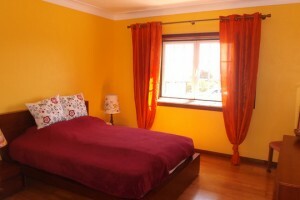 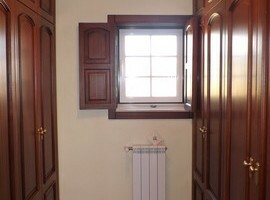 The villa is fitted with a new, energy efficient heat pump providing comfort all year round. 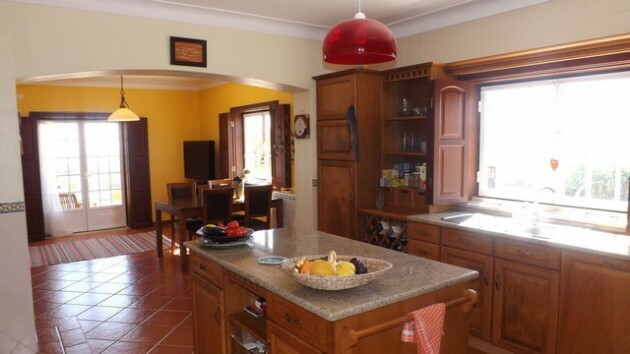 On the Ground Floor the Villa boosts a large and fully equipped Kitchen with a pleasant sun set Dining room and French doors opening to the Veranda. 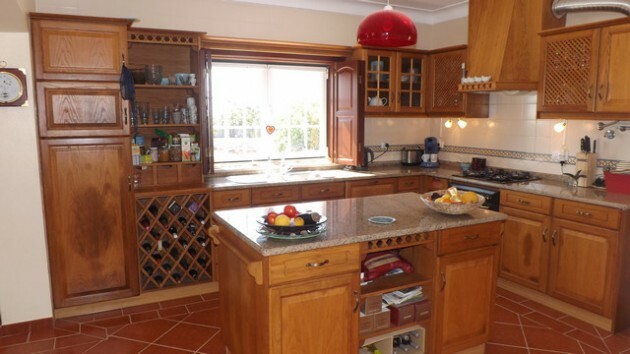 Alongside the Kitchen there is direct access to a Pantry and the separate Laundry room and bathroom, living room with a stylish classical open fireplace, and 2 French doors opening onto the Veranda. 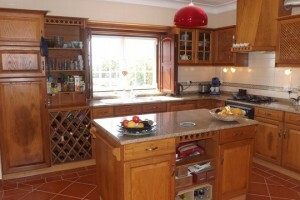 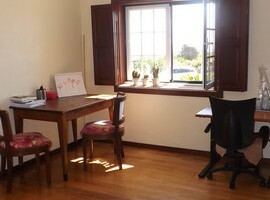 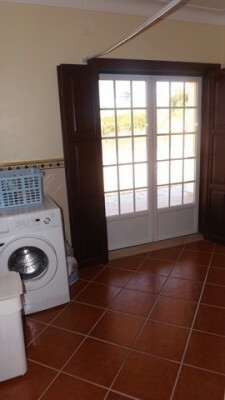 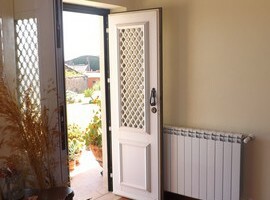 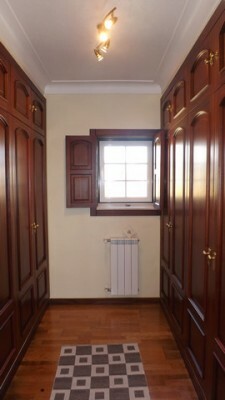 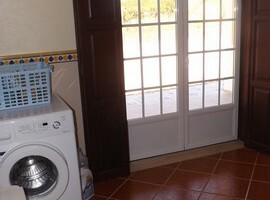 From here you can enjoy fantastic long distance views over the countryside. 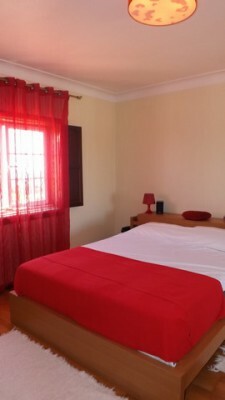 To complete the ground floor there is a bedroom and the private, spacious en-suite master bedroom with a closet, the Office connects the central Hall to the inside Garage which has a separate integrated shower cabin. 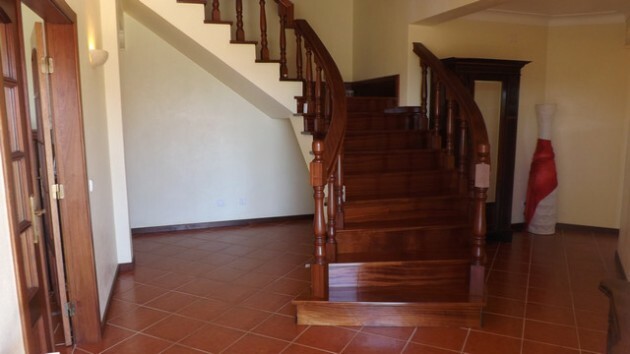 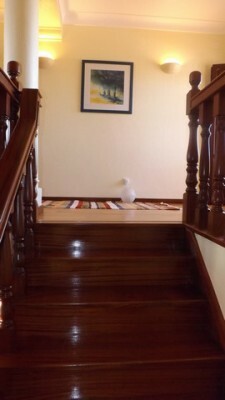 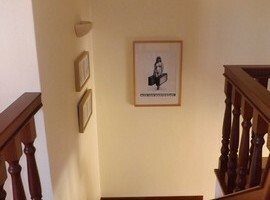 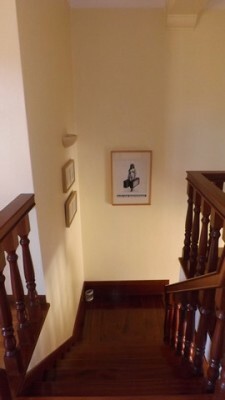 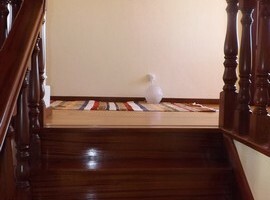 Centrally, the wide and custom made hard-wood staircase takes you to the top floor where you find 2 of the bedrooms sharing 1 Bathroom. 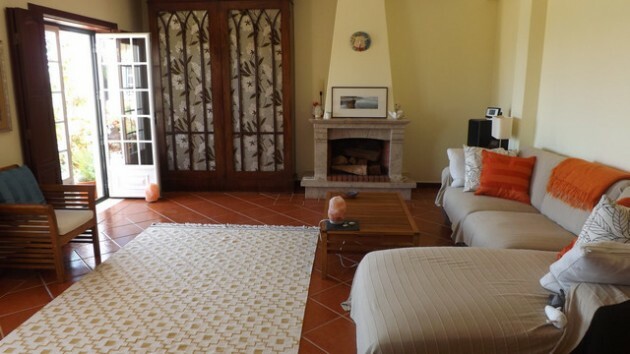 The spacious upper hall gives access to the covered balcony offering magnificent views to the Atlantic Ocean, the Berlenga Islands, and the Obidos Lagoon. 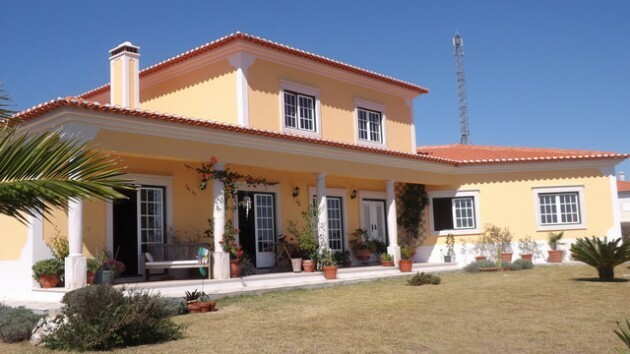 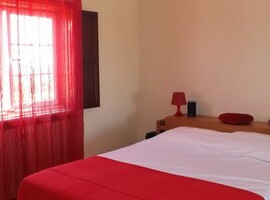 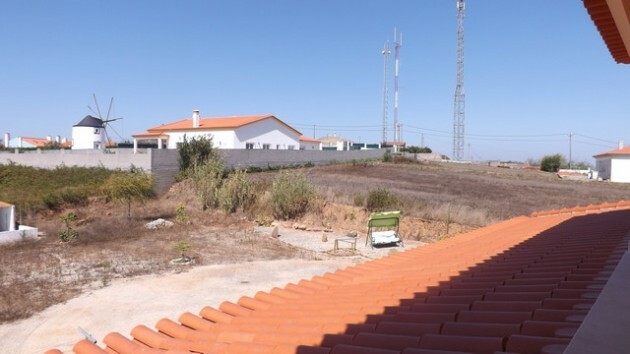 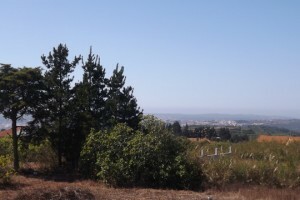 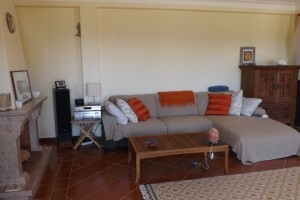 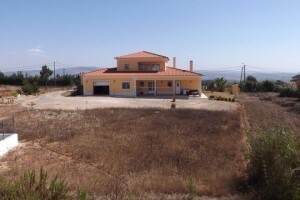 Great location at only 45 minutes to Lisbon airport and 15 minutes to several beaches such as Foz do Arelho, Baleal, São Martinho do Porto or Nazaré in 20 minutes. 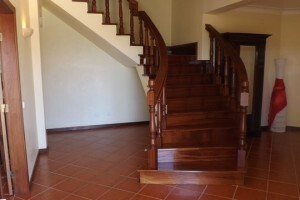 Contact us for further details and full description.